Traveling up north to the Pine City of the Philippines, Baguio, caught me by surprise! I’ve been craving for a Bahn Mi for weeks already looking for that authentic Vietnamese taste. But it’s kinda hard to find something close to what I remember tasting in Saigon. On my first day in my quick escape to the Summer Capital of the Philippines, I went out walking from my hostel to get some cash from the machine. I walked all the way back to the terminal, but the ATM machine wasn’t working. I walked farther and found another bank and got some cash. I saw this small restaurant just right beside the bank. 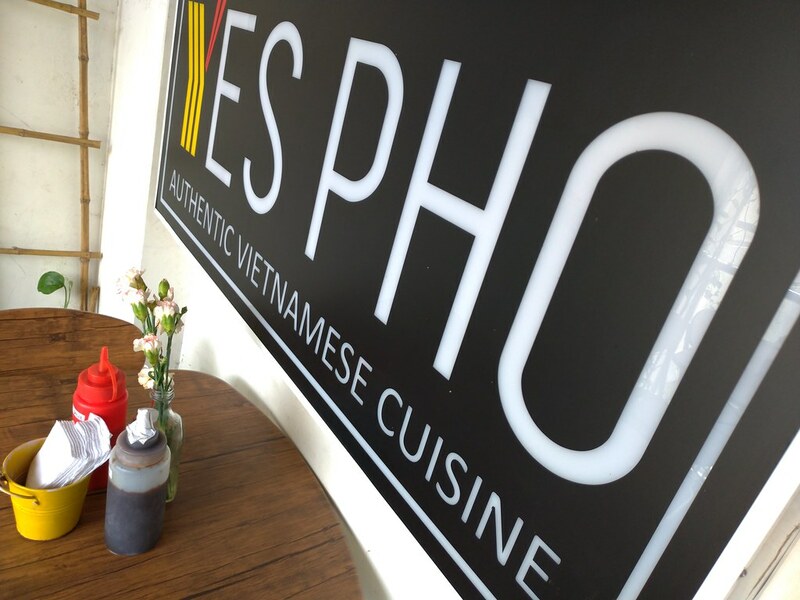 It says, Yes Pho… Hmmm… I was intrigued by the name… can it be something I have been longing for? As I stepped inside the shop, this old familiar smell welcomed me. I don’t know what it is but it was something I remember smelling back in Vietnam. They just opened that morning so they are still stewing and brewing things up, it was perfect time for me. 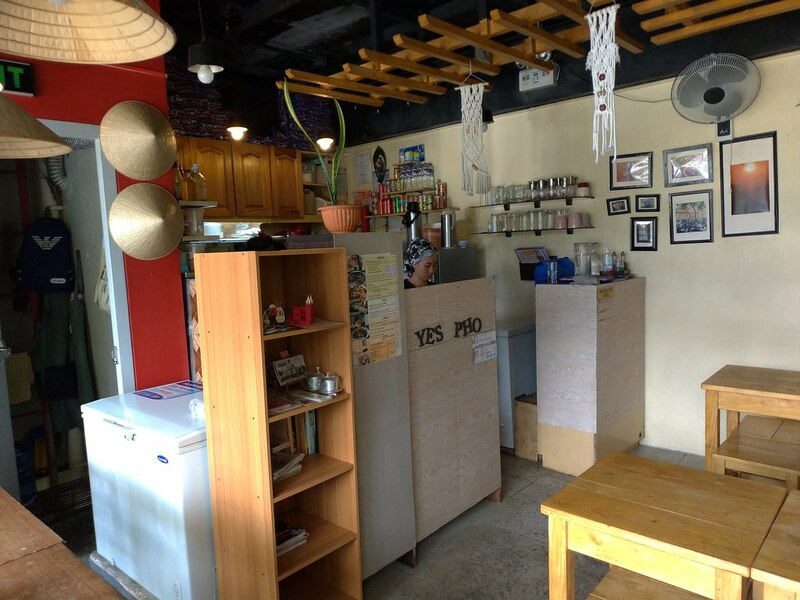 The shop is hinted with Vietnamese culture with the hats reminiscent of the southeast Asian country. I asked if they have a Bahn Mi but said that it wasn’t available yet. Turns out later that it was actually their first day offering the said sandwich. My spring roll was made fresh when I ordered it. I asked for a shrimp and chicken spring roll. I sat outside to savor the fresh…(fresh daw oh) and cool Baguio air. My food was made pretty quick and was served after a few minutes..
Each spring roll was carefully crafted. It looked full with the vermicelli. I thought that it was gonna be just like those cheap spring rolls I tried in Saigon. But then I took my first bite. I was surprised that inside the bed of vermicelli were more vegetables who’s flavors played on my palate. It was a refreshing surprise. The chicken fresh spring roll was good but I liked the shrimp best. It was so refreshing and it totally transported me back to my memories of those small side walk stalls in Ho Chi Minh and possibly better. 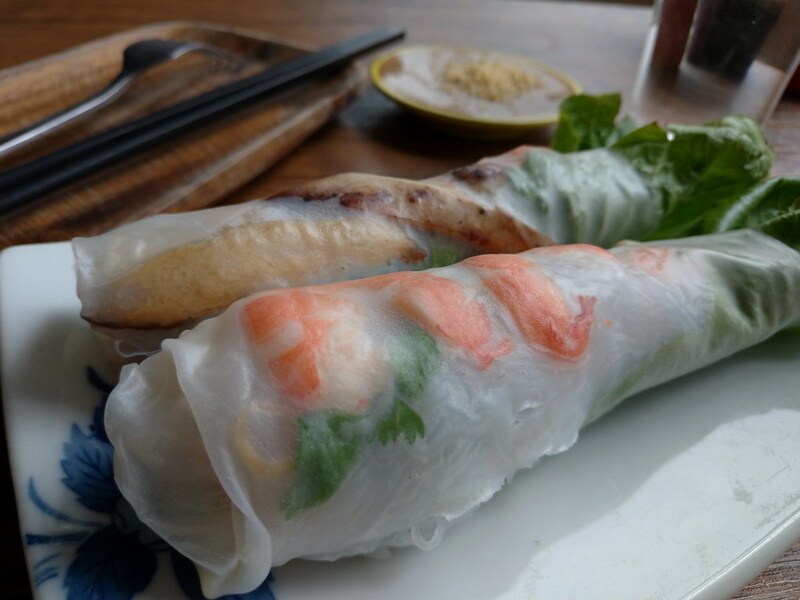 Like a true Vietnamese spring roll it was beautifully presented. Just look at that, why wouldn’t you crave for more of that! 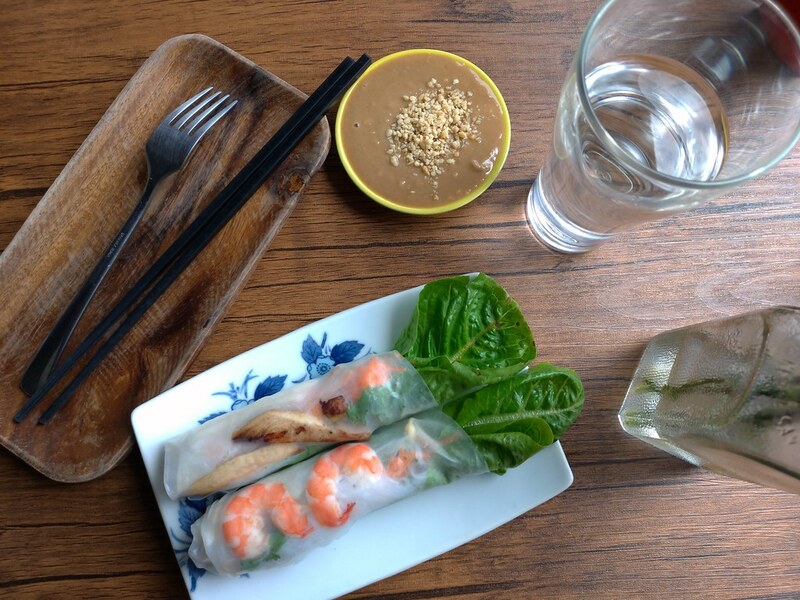 I dipped the roll on to the peanut sauce and it was a revelation. It gave me a different experience yet familiar. The I thought that most Filipinos would love the peanut sauce but being someone who is better acquainted with the vinaigrette dip I think I’d stick to that. I asked if they have that kind of dip and they did, stupid me I didn’t ask before taking a bite. Ho Chi Minh or Saigon can be thousands of miles away and can be costly to come back every so soon. Or maybe you could be someone who have been wanting to experience Viet Nam but have not had the chance because of time or money. Well, I highly suggest that you try out this restaurant in Baguio city and take that journey to back to Saigon through your palate. With that, I can dare say that this is one of the must try restaurants in Baguio city. 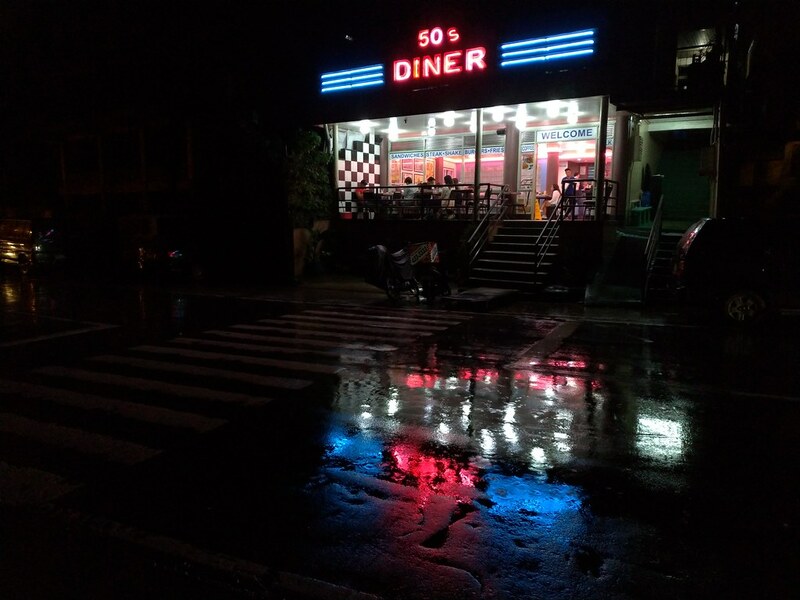 50’s Diner: Is It Worth The Try? I’ve always been interested in fascinated about the American diner culture. 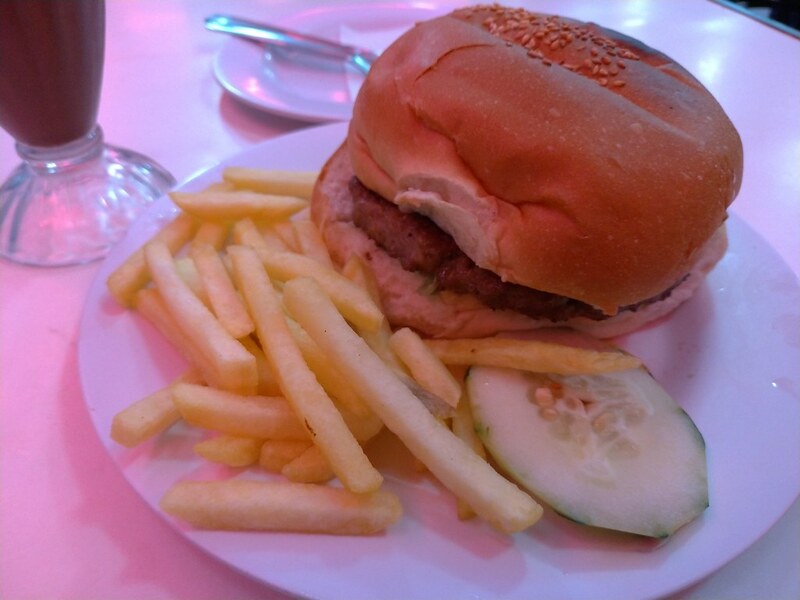 The retro feel and its all American menu has always been familiar to my palate. 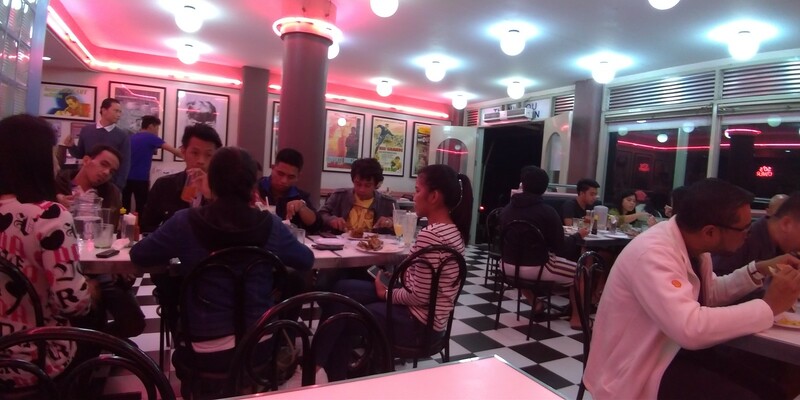 A few years back I’ve heard from a friend who had a holiday in Baguio city about 50’s Diner. A, like what I said, 50’s diner themed restaurant that serves my favorite dishes. I’m not the person who easily caves into fads and hype about something, but since I was traveling and a bunch of people I know have tried it and was pleased with the experience I decided to give it a try. Albeit, I lowered my expectations. I mean they serve an american menu, fries, burgers and shakes. How different can one restaurant make it without keeping their prices from sky rocketing. 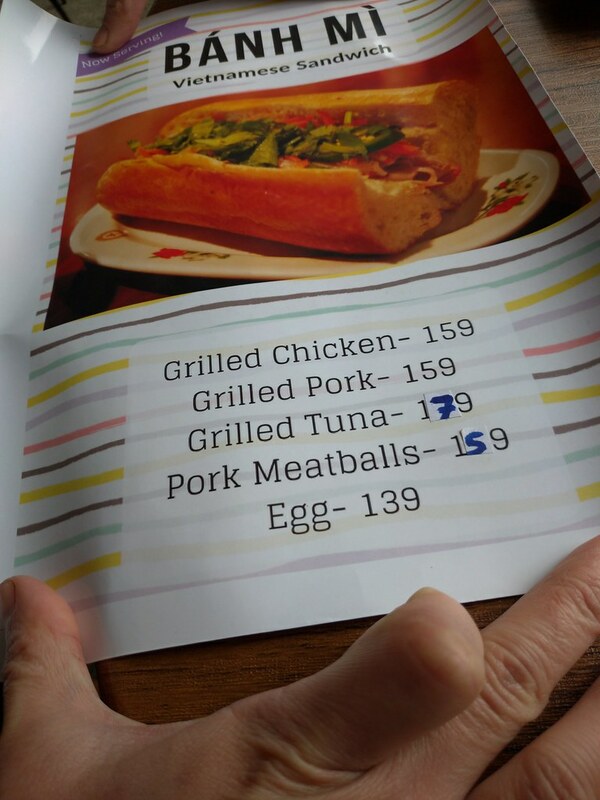 Yes, 50’s Diner does have a reasonable and affordable price range. 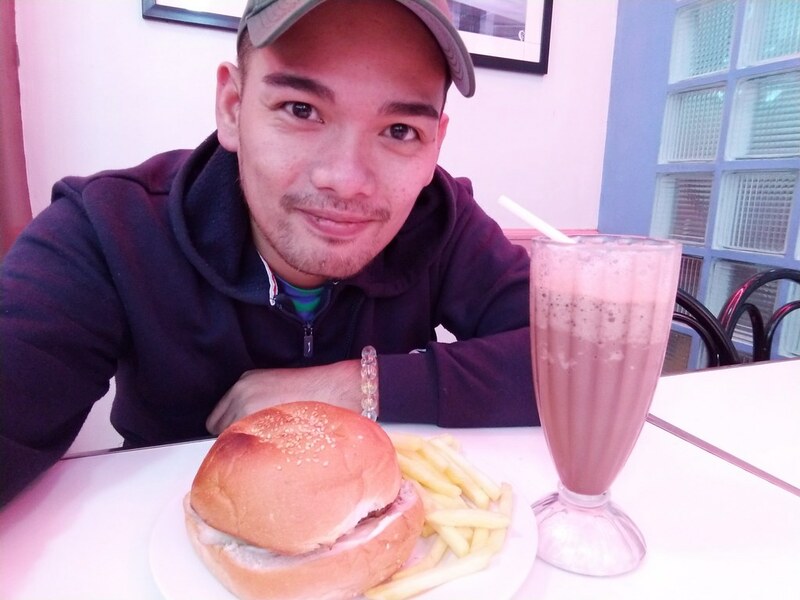 Their burger starts at about ₱110 (+/- $2) and their servings are big. It was raining really bad, but I wanted to have a good meal so I thought that walking a few hundred meters down the road isn’t a bad idea since I didn’t want to go down town. As soon as I stepped up the stairs on to their main doors, I was welcomed by their manager/supervisor (I am just assuming here, he looked like he was in charge anyways) and he took care of my dripping umbrella that I was having trouble collapsing into place. I got in a sat at the left corner thinking that I could do some sort of food review video. Here’s how I started to get disappointed. I asked the waiter specifics about the burgers and what can he recommend for something that I described I wanted. He gave me a smirk/smile with a look as if it was the first time he was asked like that or as if I was asking something impossible. Not getting a comprehensible response I just asked if they can put more greens into the burger and maybe some tomato. Again he just smiled and said no as if it was a ridiculous request. To be honest the burger was good while the ice cream shake can be better. The thing I was disappointed about is that I was expecting an experience and not just some good food. I know the prices are cheap for a burger that big and good, but I was promised of an experience and I did not get it. Also, a little flexibility on the menu wouldn’t hurt. So there I am not saying not to go to 50’s Dinner. They have good, affordable food and yes they are yummy! But manage your expectations. Quite possibly also, it may just be the branch that I went to. So maybe try the main branch or just a different one. The biggest night markets of all of Taiwan, The Shilin Night Market offers a wide array of delicious Taiwanese food! Inabraw also known as Dinengdeng is a dish with Ilocano heritage and has been in the Isabeleños tables for generations. This year for the second time in a row, the Bambantin festival featured the dish through a cook off. Lead by the province’s first lady, seven contingents from different municipalities around the province cooked their way to the finals. Inabraw is a fish dish with a medley of vegetables that are native to the northern part of the Luzon cooked in stew. The great thing about this competition is that participants are challenged to become creative with the form and presentation of the dish giving the food a new perspective and possibilities of maybe going global. It was a tough time pressured competition but everyone was able to deliver. So without further delay here are the winners of the Inabraw cooking competition – the best Inabraw in Isabela.